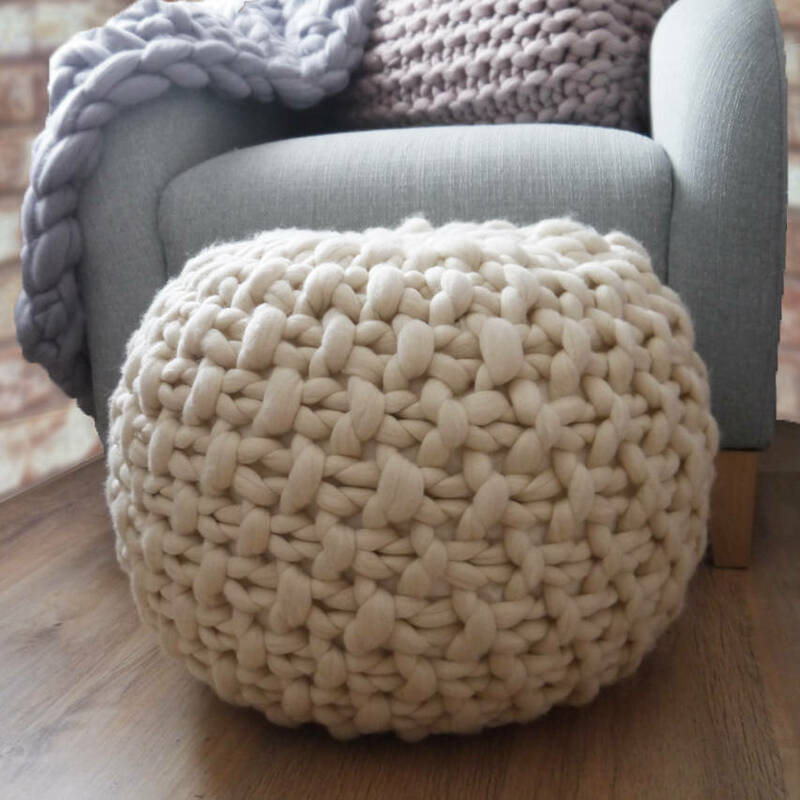 This chunky knit footstool is perfect for putting your feet up with a cup of tea and is available in soft Grey and Natural White. 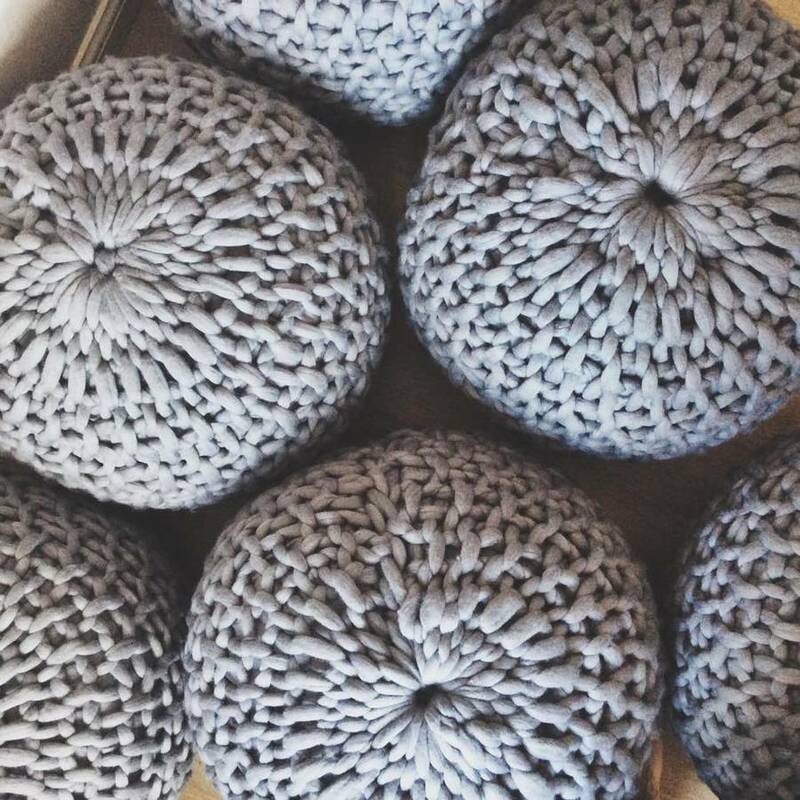 Hand knit in my studio in Devon these tactile footstools are both stylish and irrisistably touchable. 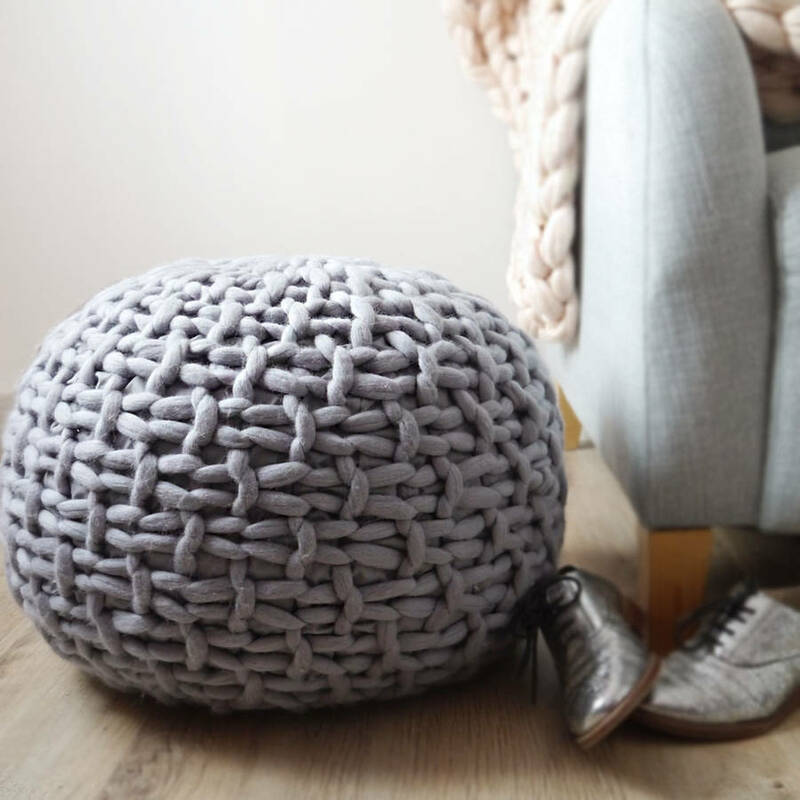 The grey and white colours available are subtle and neautral whilst the chunky moss stitch design adds texture to a room. 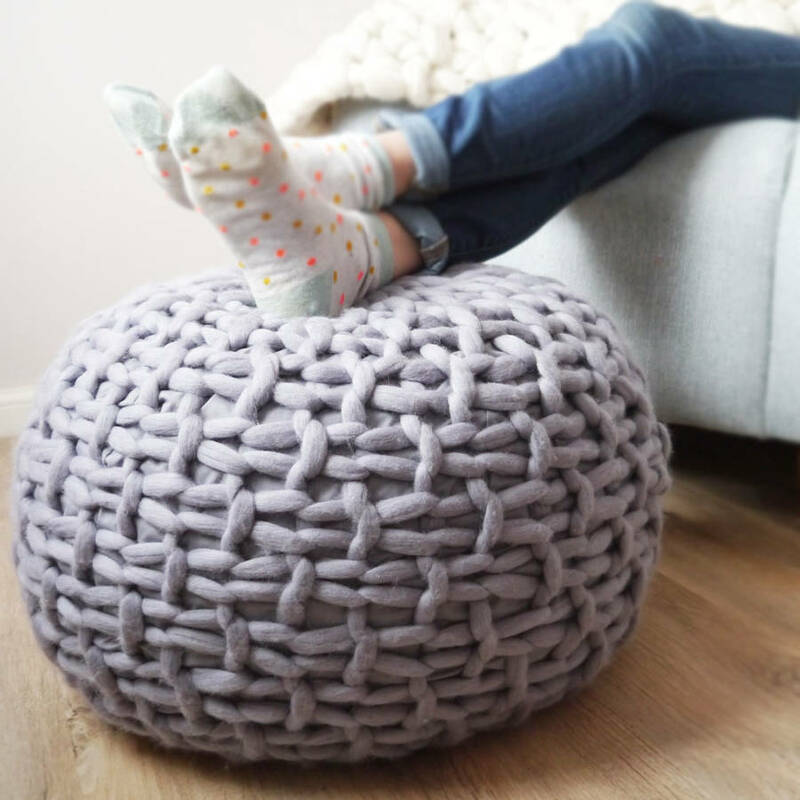 A comfortable, practical and decorative pouffe, ideal for popping your feet up after a long day, giving to a special friend as a gift or even better, why not tell Dad he can put his feet up this fathers day with a special footstool just for him? This footstool is currently available in Mid Grey and Natural White. Please see my other listings for Bright Pink and Mustard Yellow footstools if you're looking for a splash of colour. As each footstool is made by hand they can easily be made in other colours so please feel free to get in touch about other options via the 'ask seller a question' button above. There are a huge amount of colours available it may just take slightly longer to be delivered. All our materials are sourced responsibly and whenever possible from within the UK and all elements are fire resistant. 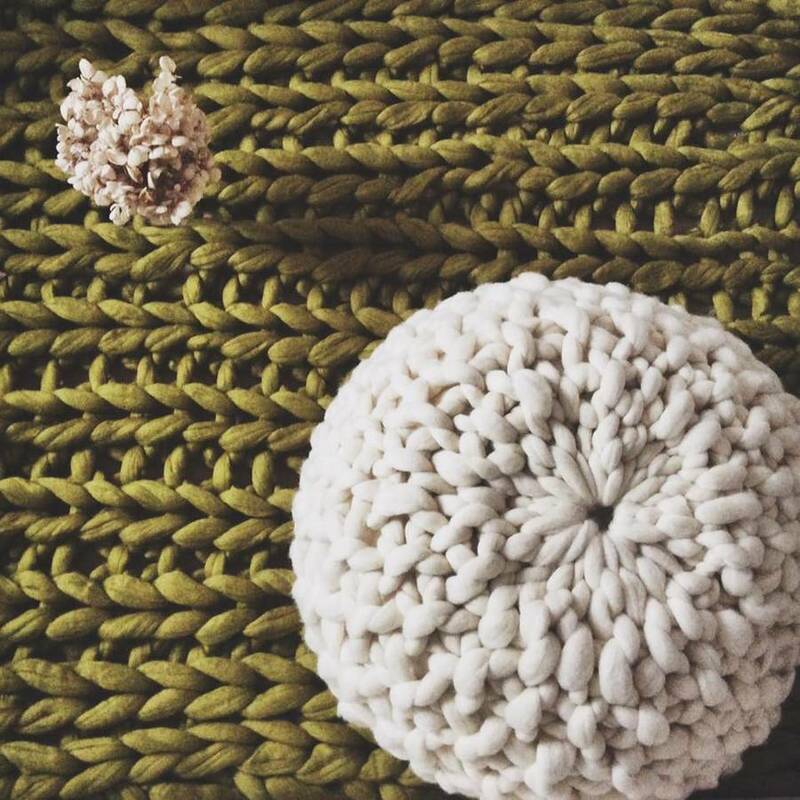 This is a natural product, made from unspun wool that has been hand-processed to make it as durable as possible. As with all woollen products pilling may occur with heavy use. It can be easily cut or shaved off accordingly.